This Shabby Fabrics Exclusive was designed by, sewn and photographed by Jennifer Bosworth. Create this darling apple table runner with all your favorite red, brown and green scraps! 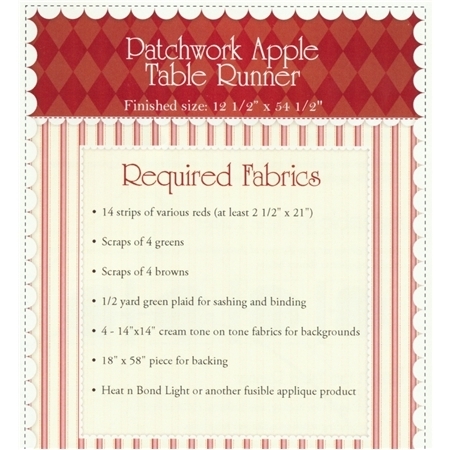 Runner finishes to 12 1/2" x 54 1/2" and features four patchwork apples, stems, leaves and just a touch of embroidery. A kit is available for this pattern while supplies last.